Once we can control any material—from metal to wood to plastic—static objects will become a thing of the past. Plants moving toward the sun, proteins folding into complex structures in response to their surroundings, molecules stacking themselves together to form a crystal. No external machinery directs these functions. Instead, the structure and shape is embedded in the material properties themselves—a wonder of the natural world. 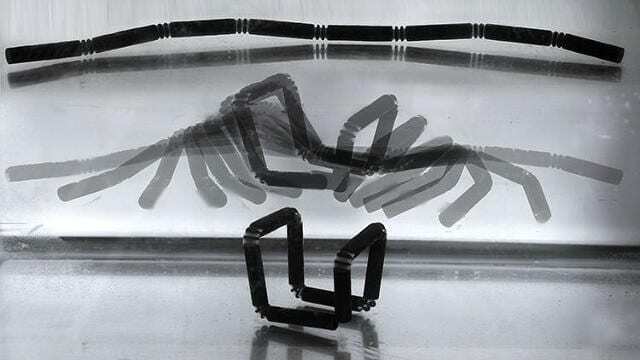 “We believe it’s now possible to program nearly every material to change shape and properties,” says Skylar Tibbits, director of MIT’s Self-Assembly Laboratory. Code, he says, will become the “language of materials” in the same way it is the language of machines today. Tibbits, an architect-turned-computer scientist-turned-mad designer, is at the forefront of popularizing the idea that smarter materials—as much, if not more than, ever-more-complicated machines—will shape the physical world of the future. In a 2013 TED Talk, he introduced a part of this vision by calling it 4-D printing (i.e., 3-D printing with the addition of the dimension of time). Since then, he’s been working to make the idea a reality using real-world materials that manufacturers and product designers use today: wood, textiles, carbon fiber, and more. An example might help you understand the concept. Tibbits has created a composite wood material that he can 3-D print in flat sheets with customized grains. Depending on the grain pattern, the wood will fold in different ways when water is added. One day, you could get a chair flat-packed shipped, and it could fold itself on arrival. Research like this is at an early stage, but to Hod Lipson, director of Cornell University’s Creative Machines Lab, it represents a new frontier for product design and manufacturing. First, he says, we’ve created the ability to control the shape of a material via 3-D printers, but one day, we’ll be able to control the properties of materials themselves and, eventually, how those materials behave.